Today, Aaron is here to prove to us that you can create anything from nine words! Buckle up for a Reverse Mad Libs story like no other! The story can be as long/short, crazy/random, serious/funny as you want! 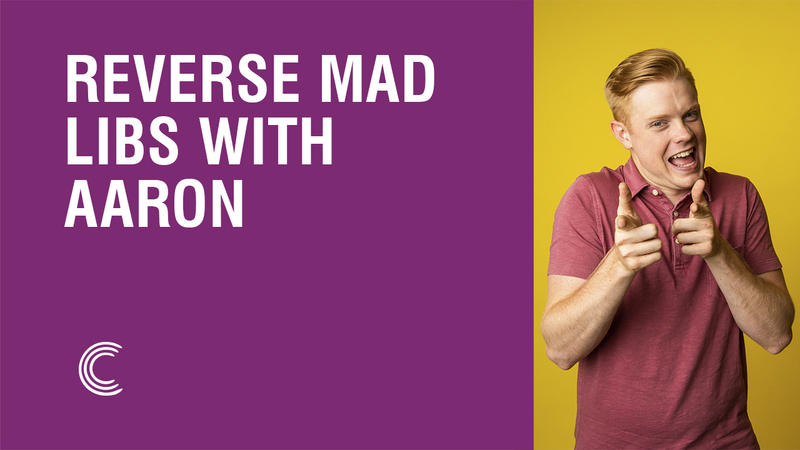 Reverse Mad Libs with Aaron! 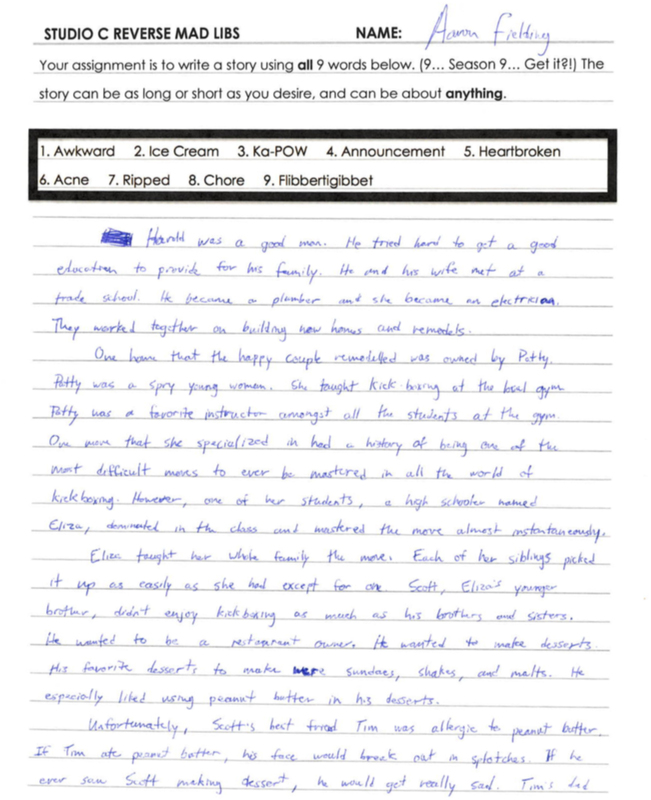 Spotting all nine words in Aaron's story is easier than you think! Can you do it? Harold was a good man. He tried to get a good education to provide for his family. He and his wife met at a trade school. He became a plumber and she became an electrician. They worked together on building new homes and remodels. One home that the happy couple remodeled was owned by Patty. Patty was a spy young women. She taught kickboxing at the local gym. Patty was a favorite instructor amongst all the students at the gym. One move that she specialized in had a history of being one of the most difficult moves to ever be mastered an all the world of kickboxing. However, one of her students a high-schooler names Eliza, dominated in the class and mastered the move almost instantaneously. Eliza taught her whole family the move. Each of her siblings picked it up as easily as she has except for one. Scoot, Eliza’s younger brother, didn’t enjoy kickboxing as much as his brothers and sisters. He wanted to be a restaurant owner. He wanted to make desserts. His favorite dessert to make were sundaes, shakes, and malts. He especially liked using peanut butter in his desserts. Unfortunately, Scott’s best friend Tim was allergic to peanut butter. If Tim ate peanut butter, his face would break out in splotches. If he ever saw Scott making dessert, he would get really sad. Tim’s dad was very strong. He taught Tim that he could be happy without Scott’s desserts. 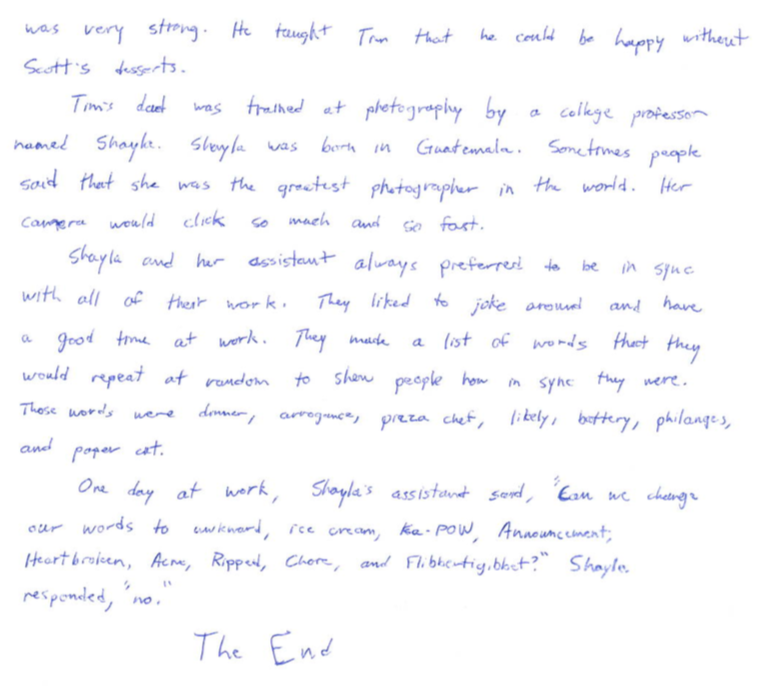 Tim’s dad was trained at photography by a college professor named Shayla. Shayla was born in Guatemala, Sometimes people said that she was the greatest photographer in the world. Her camera would click so much and so fast. Shayla and her assistant always preferred to be in sync with all of their work. They liked to joke around and have a good time at work, they made a list of words that they would repeat at random to show people how in sync they were. Those words were dinner, arrogance, pizza chef, likely, battery, phalanges, and paper cat. Don't Miss out on These Other Stories! Can't wait another week for a new story? 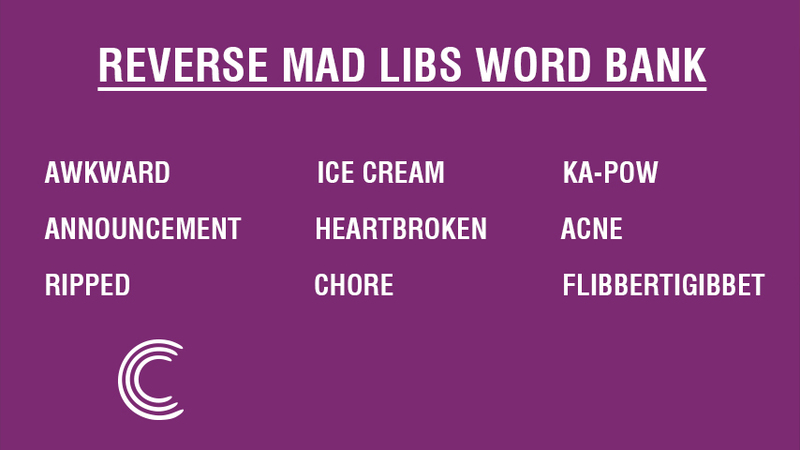 Be sure to check out these other Reverse Mad Libs stories! 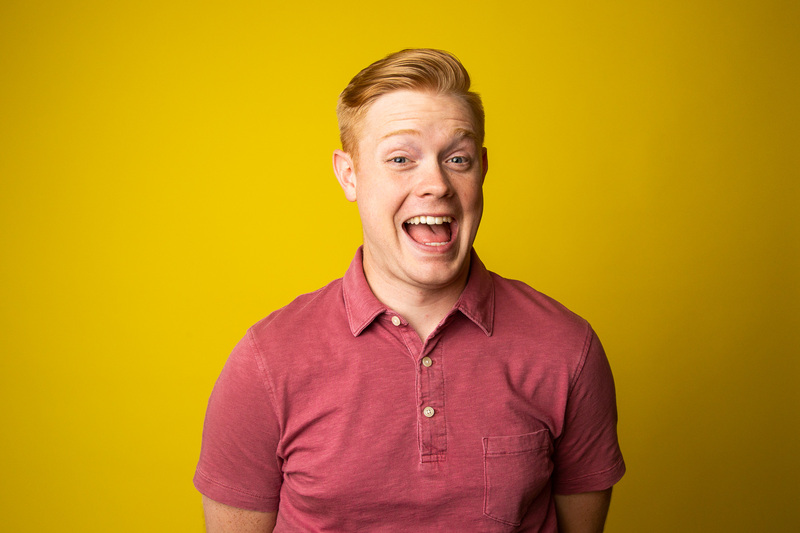 We'll see you soon for an all-new Studio C reverse mad libs story from another cast member!